Up to sixteen weeks of intermittent fasting without otherwise having to count calories helps fight obesity and other metabolic disorders. Such fasting already shows benefits after only six weeks. This is according to a study by Kyoung-Han Kim and Yun Hye Kim in the journal Cell Research which is published by Springer Nature. Intermittent fasting in mice helped to kick-start the animals’ metabolism and to burn fat by generating body heat. Research has shown that our unhealthy eating habits and sedentary lifestyles are playing a major role in the development of lifestyle-related metabolic diseases such as diabetes, heart disease and obesity. For this reason, dietary interventions like intermittent fasting are gaining popularity to treat conditions such as obesity. The research team in this study wanted to better understand the reactions that interventions such as fasting trigger on a molecular level in the body. They exposed groups of mice to sixteen weeks of intermittent fasting. The recurring regimen saw the animals being fed for two days, followed by one day without anything to eat. Their calorie intake was not adjusted otherwise. Four months later the mice in the fasting group weighed less than those in the control group who continued to eat the same volume of food. The lower body weight of the mice in the fasting group was not the only effect. 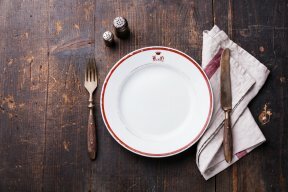 The fasting regime helped lower fat build-up in the white fat by increasing the brown-like fat (involved in burning energy and producing body heat) of mice on the high fat diet. Their glucose and insulin systems also remained more stable. In a further experiment, similar benefits were already seen after only six weeks of intermittent fasting.